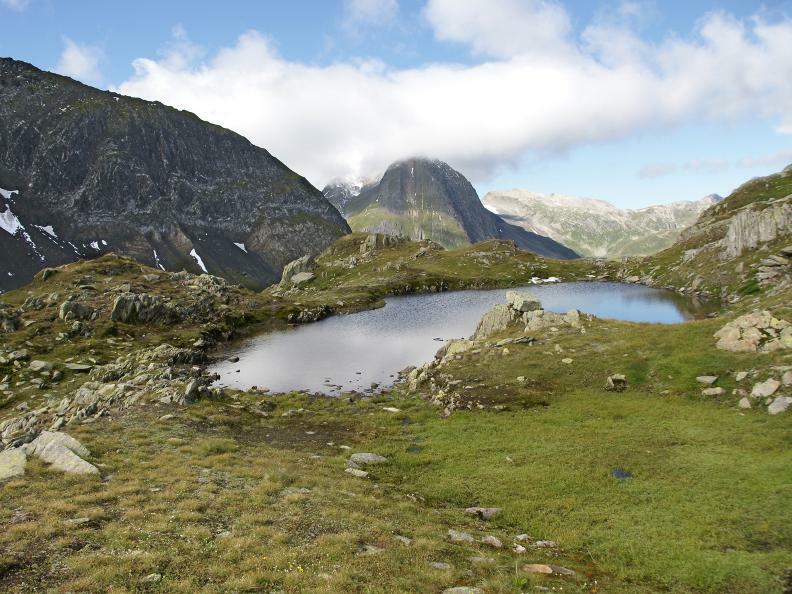 The route leads to the source area of the River Ticino below the Nufenenpass, home to many marmots. 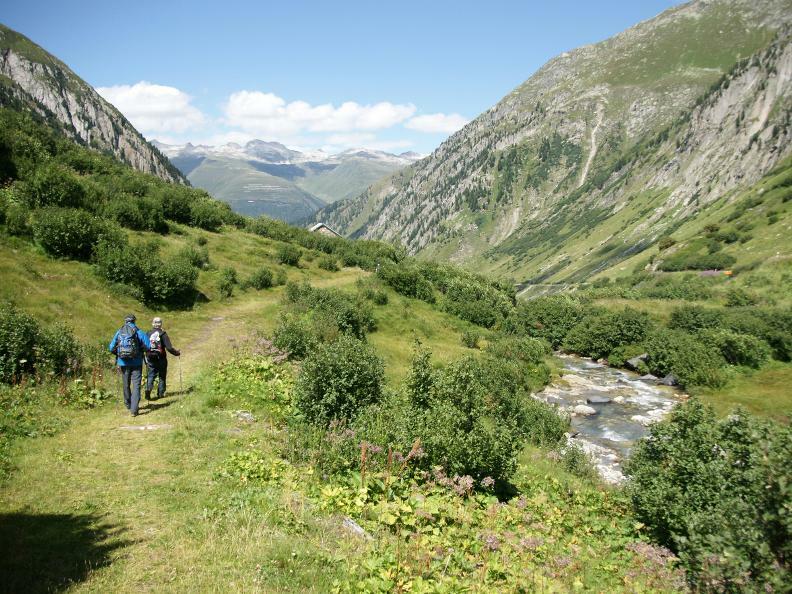 It then continues over the Nufenenpass, crossing magnificent Alpine meadows through the Ägenetal valley, over a hanging bridge and finally along the Rhone to Obergesteln. An extremely scenic high-level hike leads along the north slope of the Bedrettotal valley. 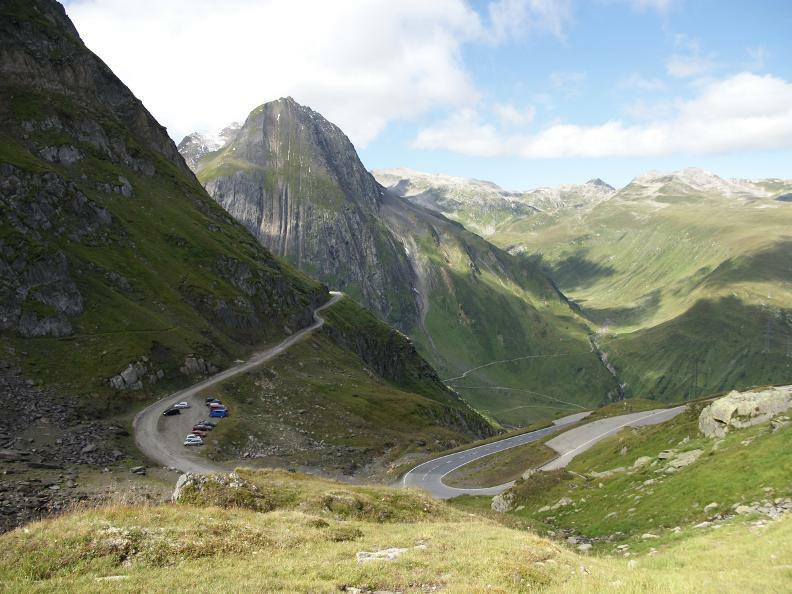 Following a climb to the Nufenenpass the route leads 1100 m down into Obergoms. Along the way you catch sight of the Griesgletscher (glacier), Europe’s highest-altitude wind turbine, a historic stone bridge dating from 1761 near Ladstafel, a gorge with hanging bridge and typical Walser houses.